The E-Z Sharp Classic Model is our basic machine. You can add parts (machine stand, dust vent, portable cover) to this model to create the machine that best fits your skate sharpening needs. 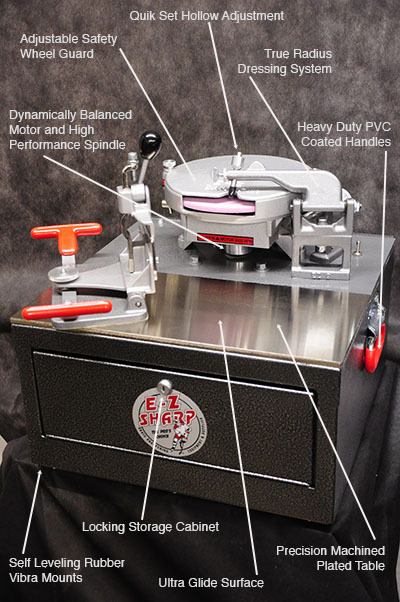 E-Z Sharp Skate Sharpening Machines are precision tooled, designed for speed, efficiency, and safety. All machines and equipment are made in the U.S.A.